Reading auras of other people is a great way to analyze the energy they give off. You get to know the kind of person they really are. But auras aren’t as simple as mainstream media tries to make them out to be. They are complicated energetic fields. Even still, everyone has the capability to read auras if they put the proper practice and focus towards it. Here, we’ll walk you through auras and how to distinguish them on your own. By the time you reach the end of the page, you’ll know how to see the visible energy of those around you. Humans are made up of energy. The frequencies we put out create an energetic field around our physical bodies. This is what we call an “aura.” This field of energy radiates about 6-18 inches around the shape of your body. 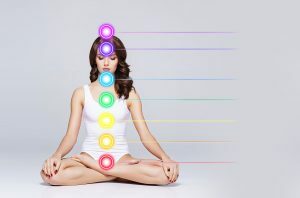 Seeing auras requires a connection to them, and in order to connect to the auras of others we must first connect to our own. By feeling the energy in our own bodies, the colors will begin to show to you. You’ll be transformed into a relaxed state of awareness, and you will be able to tap into the energetic auras of anyone you encounter. Next time you are with someone, pay extra close attention to the way that you feel with them. Do you feel an invitation to love and care? Or do you feel an invitation to become drained? Ask your body and breath for an honest answer via sensation. Once you begin to feel the physical reaction you have to someone’s energy, you’ll be better able to navigate all kinds of people you meet and come into contact with. It’s rare to be able to see an aura with our eyes. We are constantly filtering through and processing information every second. Our vision is affected by this ultra-fast thought pattern in our brains. You must hold your gaze on one distinct spot for about 30-60 seconds, allowing your gaze to soften up. As you stare off, begin noticing the shapes and colors just on the outside of your direct line of sight. Be careful not to stress the eyes or strain yourself to see. This triggers anxiety and forces the objects in your periphery into focus, ruining the exercise all together. Keep a soft focus and slow your breath in order to hold it steady. The presence of color is the easiest way to detect someone’s aura. To test your color sight, practice in a neutral room. Bring with you many different colored objects. Set the objects far away from you. Close your eyes, and focus on allowing the colors to show you what they want to show you. Breathe and then open your eyes slowly, allowing a soft gaze. Look at a colored object (one at a time) and begin to look through the item rather than at it. From here, take mental note of the area just around the object. You’ll then begin to notice a shimmer or pale coloring emanating from it. That right there is an energetic field. This is the beginning of aura reading process. As you grow in confidence in your ability to read single colors, you’ll then be able to handle multi-colored objects. Next, you’re ready to move on to interpreting the aura of another living being. If you still feel a little nervous to jump to this major step, you can start easy with plants. Plants are still and won’t be able to respond. But they are still alive and thus will be able to emanate a different kind of energy that you can work with still. Once you’re confident and ready to try another person, find a volunteer who wants to have their aura read. Ask your volunteer to stand against a neutral background. They should be a little more than a foot away from you. Then, focus your vision on the wall (not the volunteer). This will allow the person to become part of your periphery. It will let you sense the field around them against the background. Ask their aura to reveal itself and notice any colors or changes to your vision as it occurs. Once you’ve mastered this part of the practice, ask your volunteer to begin slowly moving around. See if you’re still able to sense the same colors even as they move. You can even have some fun with this part by playing some of their favorite music and noticing any shifts that causes in their energy. Reading your own aura requires a different kind of perspective. But once you master reading the auras of others, you may feel confident in honing this new skill. This, you’ll find, is more challenging. But it will slowly strengthen your intuitive abilities if practiced repeatedly. To begin the self-practice, sit by yourself in a quiet space that allows for meditation and mindfulness. Clear your mind, however you must do it. Some people prefer to meditate, listen to a guided meditation, do some yoga, or journal in order to clear the mind. Once you’re at peace and aware, set an intention of accessing into your own aura. Then, rub your palms together in front of your heart in order to activate your energy. At this point you may feel a sense of magnetization or stickiness between your hands. This is called Aka, an ethereal life substance. Ancient Egyptians referred to it as an invisible thread which creates and links all matter. Focus your attention on the Aka between your palms. Try to gain a sense of color in the gap. The color may first appear as a kind of fog or mist, but then your physical color senses will confirm what you’ve psychically already began to see. You’ll see many colors in reading the aura of objects and people. You must be able to distinguish different shades as well as gradients and vibrancies in order to properly read an aura. You may “feel” a color more than you physically see it, and that’s normal. A vibrant color means that there is a level of spiritual well being and awareness. A muddied or dull color indicates an energetic sickness or laziness. Pronounced colors indicate that they protect their spirituality. Dim colors reveal a need for more awareness. Yellow means they are a logical, analytically-minded and intelligent person. Red means they are an energetic, enthusiastic person. Pink means they are a loving, caring, and generous person. Green means they are a hard-working, creative, perfectionist person. Orange means they are a social, generous, and fun-loving person. Purple means they are psychic, empathetic, and in-tune with those around them. Blue means they have an extremely strong personality and are a strong communicator. Gold means they are artistic, charismatic, and attractive to others. Silver means they are a sensitive and gifted person. The location of certain colors that appear is also important to note. For example, if you notice a red glow near someone’s chest, that could mean that they suffer from a frustrated heart. On the other hand, a white glow around the head indicates a soul that is energetically advanced. Consider what area of the body the color is coming from, and thoughtfully allow the meaning of the placement to come to you. 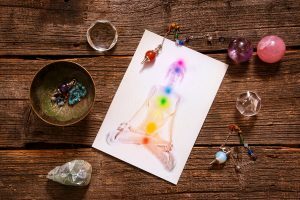 You will notice an aura around the entire body, but in special aura photographs, it usually only appears in the upper body near head and chest. That’s because the aura around the upper body will reflect where the person is currently. Conversely, an aura towards the bottom of the person could be indicating where they are going. Additionally, if you notice any coloring flashes outside of the field of vision, these may reveal energetic tendencies that are influential, yet not currently permeating. It’s also good to note that if you see a large aura that doesn’t seem to be emanating from anywhere, it could be revealing the presence of a spiritual guide or companion. It’s never a bad idea to learn how to see auras, as it gives you a better understanding of the world around you and those who inhabit it. You’ll understand how to communicate with different personalities and will be better equipped to handle all the different kinds of people we encounter throughout life. 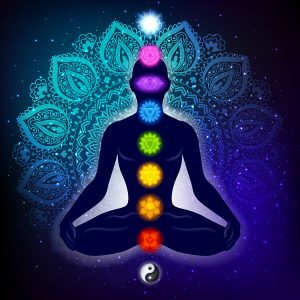 Just remember – focus on the energetic sensation and allow your intuition to guide your soft gaze towards the colorful auras that exist everywhere.